I’ve spent so long on last years TV, and Virgin have spent so long putting on Chuck, that we’re now into the new season. Here’s a rundown on shows I’m interested in. The twist? Despite the axing of many a good show (Middleman, Knight Rider, Reaper) the end of BSG etc, I still have a pretty full schedule, frankly more of a schedule than I can watch. So, expect one or more of these to be dropped before the end of season. Lost – Aside from the fact that the past few seasons have been great, I’m committed; I want to know how this ends. And I’m looking forward to this season as well, not just that we’ll get answers, but just in general, Lost has been really good of late. If I drop everything else I need to see Lost. Doctor Who – We have some specials coming up, and ultimately the regeneration of David Tennant to Matt Smith. Doctor Who usually appears on everything else’s off period as well which is a bonus. Chuck – Again, probably advantaged by Virgin showing it late, so it’s likely to be on Virgin once other shows have finished. Hell we’re just finishing season 2 now, but it’s been so much fun I can’t see me abandoning this now. Flash Forward – Have caught the first 2 eps (Missed 3, putting child to bed) and it is so far rather intriguing. Yes it could well be the next lost, with its unfolding mystery etc. Only gripe so far is that none of the characters have really shone, they don’t interest me like the initial survivors of lost did. However I do like a good mystery and this series has set up the layers nicely. At its core is the constant question of “Is the future fixed” which leads into the mystery of why the event happened, who are the people who did not black out, all tracked through a board of random clues the main character was conveniently looking at during his flash forward. There were also some nice touches, we had consequences of everyone blacking out for 2 mins or so, plane crashes, car crashes and general disorder. On the other hand some people were doing mundane things like sitting on the toilet reading the paper. If I can keep the commitment, and if it doesn’t descent into X-Files/Season 2 Lost territory of never answering things properly, in short if it’s well planned, this could be very good. An extra gripe to Channel 5 doing ads every 15 mins. I realise this is probably the same number of ad breaks as you get when shown with US breaks, but it ruins the pacing of the show. True Blood – this is technically last years TV, with Season 2 starting soon or already started. But being on Channel 4 means we all get to find out why we were so happy when Sky bought the rights to Lost. Still anyone with FX can catch it sooner so there’s a bonus. Series about vampires living among us has had nothing but good reviews from all who have seen it only caught some of the pilot and it could well be interesting. I’ve never been that enamoured by vampires mind you. Still, at time of writing all I can really tell you about is that we have a psychic girl who may start dating a vampire. True Blood lacks the instant hook of Flash Forward, but its later timeslot and rave reviews mean that it may be something I can keep an eye on easily. 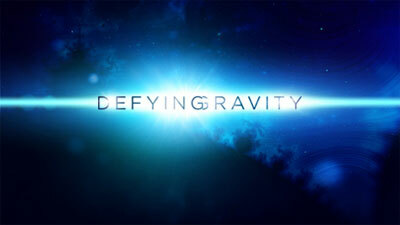 Defying Gravity – Did you see the Docu-Drama Space Odyssey – Voyage to the planets? No, oh, shame, it was quite good. Defying Gravity takes this idea but dumps the Docu side, focusing instead on the Drama; it tells the story of a group of Astronauts on the star ship Antares on a mission to explore the solar system. Its blurb and episode summaries hint at a series focused more on realistic space travel and the dramas that come from it, such as relationships aboard ship and dangers from solar radiation and isolation. Reviews haven’t been positive but I like this sort of thing and so will most definitely give this more leeway than normal. Heroes – What to say about Heroes, well the Beeb has lost confidence, that shows. To be fair they did it no favours scheduling it against Ashes to Ashes, not so much because one would trounce the other but way to knock a chunk off your own ratings. Anyway, apparently after the last good run of showing it near enough as soon as the US has (As Sky tend to do) they’ve now said they won’t be showing the next season until 2010. In some ways this is good, it means all my TV doesn’t hit at once and gives me a fighting chance to see something. Down side is, well frankly Heroes has never really found its feet after Season 1 and I’m not sure I want to go through another season. Yes it had highlights, but it has been a bit of a mess. Its like a relationship that’s petering out, You want to give Heroes one more chance, it promises to be like it was when you first met, but you fear you’ve heard that before, and we’ll instead have another year of going through the motions and being disappointed. Timing will see if I open myself up to this again. Dollhouse – This really didn’t grab me last year, until the last few eps, in particular Epitath One. Damn you Wheedon, this may well be worth a second look, particularly now Wheedon can judge the direction more clearly. Still, from the promo posters expect Dushku in a variety of outfits all the same. Overall, considering the axings of last year, we still have a decent crop of shows to keep me entertained.